Together they’re the unstoppable MONSTROIDS! The most advanced man-made constructs ever created. Half monster/half machine, these six cyborgs where created by their master, the sinister Dr. D.L. Frankenstein. The mad doctor planned to create an army of monstrous-mechanoids to aide him in his fiendish plot to take over the world, but Dr. Frankenstein built his creations too well. They were not the mindless monsters that he created him to be, willing to do his evil bidding like puppets. But instead they were living thinking monsters who sought not to destroy, but to do what was right and good. 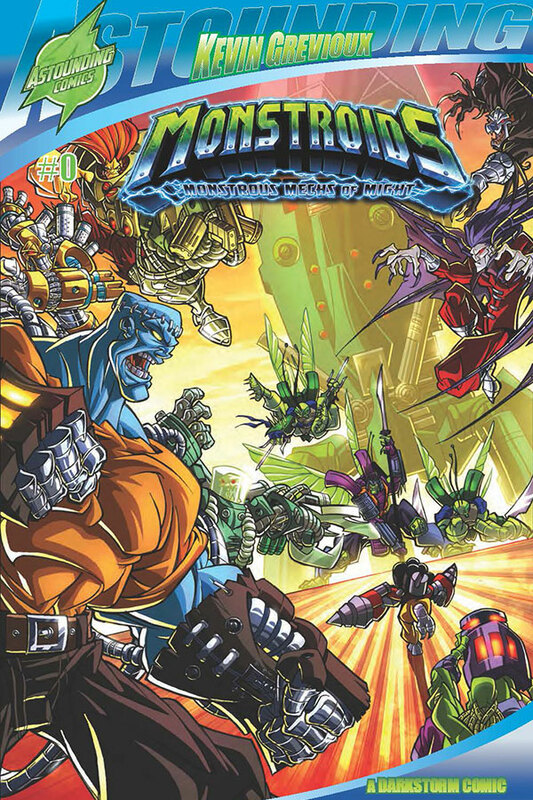 Rebelling against their megalomaniacal master, the monsters band together to fight battles that no other single monster, man or machine could stand against. They became Earth’s Mightiest Monsters…The MONSTROIDS!